With Halloween rapidly approaching, you know what that means its time to get dolled up as your favourite villain. This year it falls slap bang in the middle of the weekend, the perfect excuse to go all out, but the big question is what looks to go for? We bring you our top favourite looks that will get heads turning. 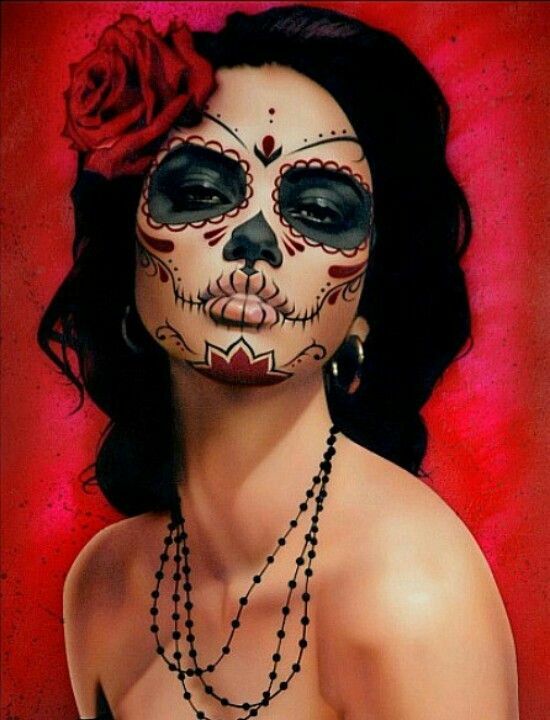 Day of the Dead- In honour of James Bond Spectre, why not go for the Mexican celebrated festival Day of the Dead. Wisps of skeleton structures mixed with Spanish ambience can create the perfect look. The key is to limit your colour palette to red and black and maximise the concept of simplicity and focus on the detail of the pattern you want to create. Frankenstein’s Bride- Everybody loves a good Frankenstein costume, why not put a spin on it and go Haute Couture. A modern day contemporary look on the classical goes to look for Halloween. Back comb your hair to get the full Amy Winehouse bun, and if you want the full effect, spray your hair with easy wash out hair dye this will complete the look. Cute- Not everybody wants to look like the devils advocate on Halloween, there’s always the option to be cute, what girl doesn’t want to be cute? 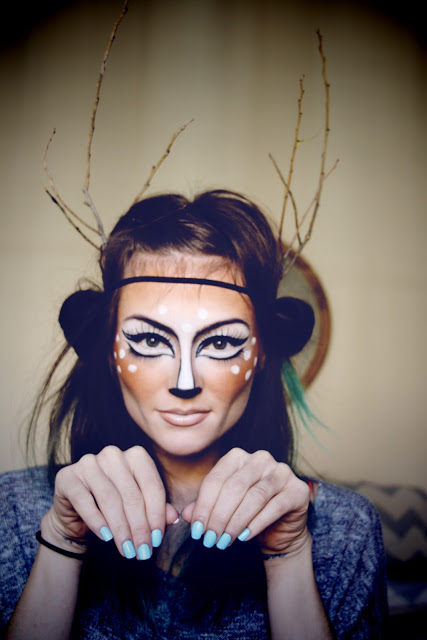 We love this simple dainty Bambie look, giving a touch of Disney whilst still being a great alternative to the norm. Vintage Glamour- You don’t fancy being scary or cute but you want to go the full nine yards, then vintage glamour from the 1920s is the look for you. Diamonds, sleek finger wavered buns matched with black lips and deep smokey eyes will always match any costume themed party.